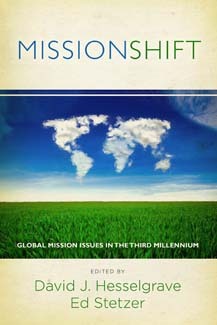 This present article on missions is a part of a dialogue with Ed Stetzer and David Hesslegrave’s new book MissionSHIFT. The following thoughts on missions deserve a proper introduction, which defines my personal approach in responding to the issue at hand as drawn from both experience and education. They are defined via my being Bulgarian born, American educated, and having served as a national worker in my home country for over 20 years while having dedicated 11 years to the earning of three higher theological degrees from Baptist and Pentecostal educational institutions. Ministering with my American born wife in Bulgaria has demanded a response to a number of vital questions in the missional context of the ministry, which vary from micromanaging how to go through today to a much broader and purposefully strategic planning for the future of the Bulgarian Evangelical Movement as a whole. The most important result of this process has been the foreseeing and training of a new missional and visionary generation for the ministry to which we have dedicated our lives in the past several years on both formal and personal levels. Thus, finding a working paradigm between 21st century theology and current missiological trends for us personally has not only been an interest in trends and thought, but a way to survive post modernity and do actual ministry. With this said on our personal ministry history and missional experience, we turn to the historic overview of missiological trends in the first essay of MissionSHIFT, which has sparked some controversial responses in the book. The text is undoubtedly interesting and fulfilling, while presenting a much needed juxtapose with the similar historical attempt in the third essay of the book. However, the reader is surprised by the quick jump through the Constantine era, which quite frankly forgoes Eastern Orthodoxy and Catholicism, major contributors to two main branches of Christianity and main players in a period some one millennial long when evangelicalism simply did not exist. And while it is understandable, how these two church institutions may remain far to the interest and knowledge of the Western mindset, it also must be stressed that this very period of church history is responsible for setting the stage for the Reformation and the birth of Western English speaking church as a whole, as both Luther and Wickliffe draw from Eastern Orthodox missiological trends to justify their own call for the reformation of the church and identify themselves with the earlier Bogomils’ movement. When exploring virtually all branches of Christianity, it is clear that globalization of missions begins nowhere else but in its localization as a ministry of the congregation. With this said, the consideration that missional terminology and action emerges localized in predominantly in North-Western setting is a dangerous one. Philip Jenkins’ Next Christendom has made a strong case for missional theology and action as related to the New Testament church emerging nowhere else but in the East, beginning in Israel with the Great Commission of the Lord Jesus Christ. And while Jenkins’ prediction stops with the Americas and perhaps Australia, our dialogue with his work in 2004 projected that the missional message of the Gospel is completing a full circle around the globe, going from East to West, and returning back to its starting point in Israel. Any opinion that characterizes church missions as purely or predominantly an Western endeavor is imperialistic at best, regardless of its cultural and anthropological context. Missing to discover there is a world existing around us till now, does not make us missionary pioneers, but it does makes us ignorant. The discussion also introduces the so-called “three self model,” which is still practiced by missional agencies around the world. The idea is to start and build a church abroad to a point where it becomes self-sufficient, as in most cases the new community church resembles the parenting church in theology and praxis. The problem arises with the understanding that the meaning of “self-sufficient” changes quite a bit with time and location, to the point of being meaningless today in the context of globalization and postmodernism. If once upon a time, “self-sufficient” meant a church network growing globally, but directed from one locality somewhere in the northwestern hemisphere, it means this no more and most probably it never will. It is simply impossible to create a self-sustainable paradigm of a church movement with truly global growth and leadership localized to a certain geographical, economical, philosophical or social region. Possibly the best point in the discussion in relationship to the first essay was made as a call for the recovery of the Trinitarian view on missions (p.44). The 1960s shift of missions from the Church to God and the world is also properly acknowledged as a step in that direction. So is the discussion about anthropological or God centered missions, which Jesus fulfilled 100% both ways. The argument for a Trinitarian Mission seems most necessary in our current evangelical-charismatic context, but when your historical observation on missions misses the role of the Eastern Orthodox Church, where the doctrine of Trinity is theologically confirmed, it leaves a very little argument in favor of Trinitarianism. And even more, it leaves one movement without its historical identity as a Trinity believing church. But instead of picking from doctrines and dogmatic, perhaps the discussion on 3rd millennium missions needs to be focused on the main missional shift, namely the moving of the focus of missions toward evangelicals. It seems like what needs much more deconstruction in terminology is the view on missions as an evangelical entity (about p. 20). Before defining missions as evangelical, it will be beneficial to redefine anew the term “evangelical,” which gains quite a bit difference in consistency when contextualized to postmodern globalization. The social role of the Gospel is unarguably its strongest motivator for the move from this world toward the Kingdom. It is this move that constitutes the very basics of missions and mission mindedness. The preaching of the Gospel not only does not exclude but motivates a social transformation through the salvation of the person, which serves as the personal motivator, first for transformation of one’s mentality and then for social transformation. Translation of the Bible, focus on education, upbringing of culture and national belongingness were not only procured by early missionaries, but become the very essence of a paradigm that move whole communities toward a chance. And the church was the author of such movements, effectually advancing whole nations toward a democracy based on puritan principles. So What Should Missions be Like? 7. More focused on the Dominion of the Kingdom, than the denomination.